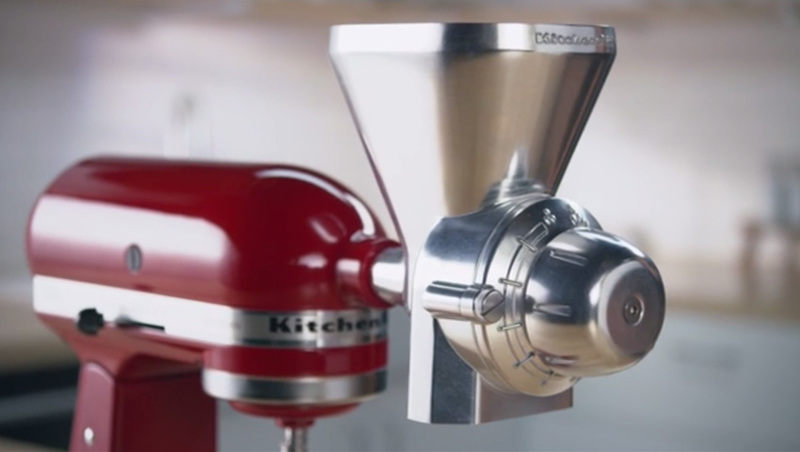 CHICAGO (March 17, 2017) – For those using the “I don’t bake” excuse for not investing in a KitchenAid® Stand Mixer, the brand has introduced two new attachments that reinforce its role as the culinary center of the kitchen. 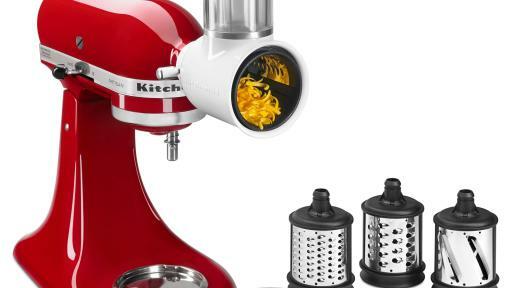 A new Fresh Prep Slicer/Shredder attachment and Vegetable Sheet Cutter attachment will join more than a dozen other attachments used for grinding meat and grains, spiralizing and juicing, and making everything from ice cream to pasta. 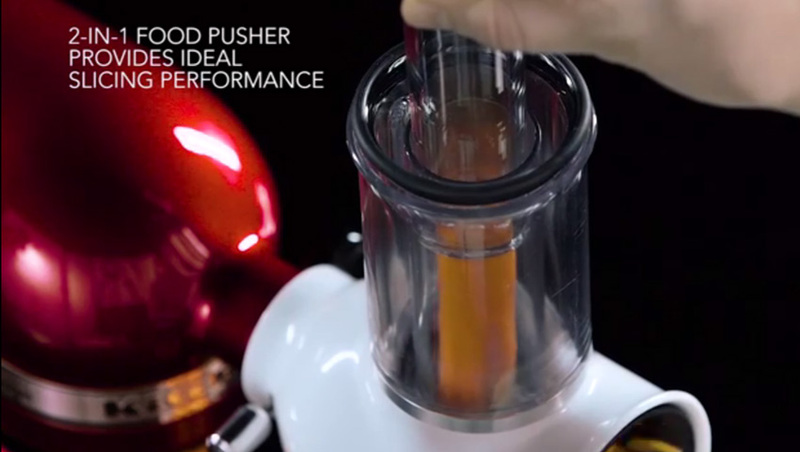 The Fresh Prep Slicer/Shredder attachment was designed to take the work out of adding freshly sliced or shredded ingredients to salads, entrees and other dishes. Three quick-change blades can handle everything from slicing cucumbers to shredding cheeses or vegetables, saving significant time with basic tasks. 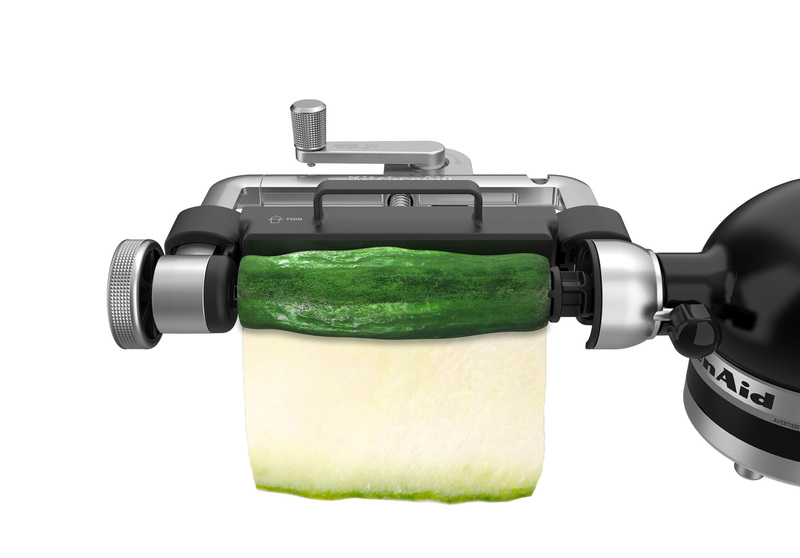 A 2-in-1 food pusher provides ideal slicing performance for both large and small diameter fruits and vegetables, from cucumbers to celery. The attachment is packed and organized inside its own storage case designed for easy access and simple storage. 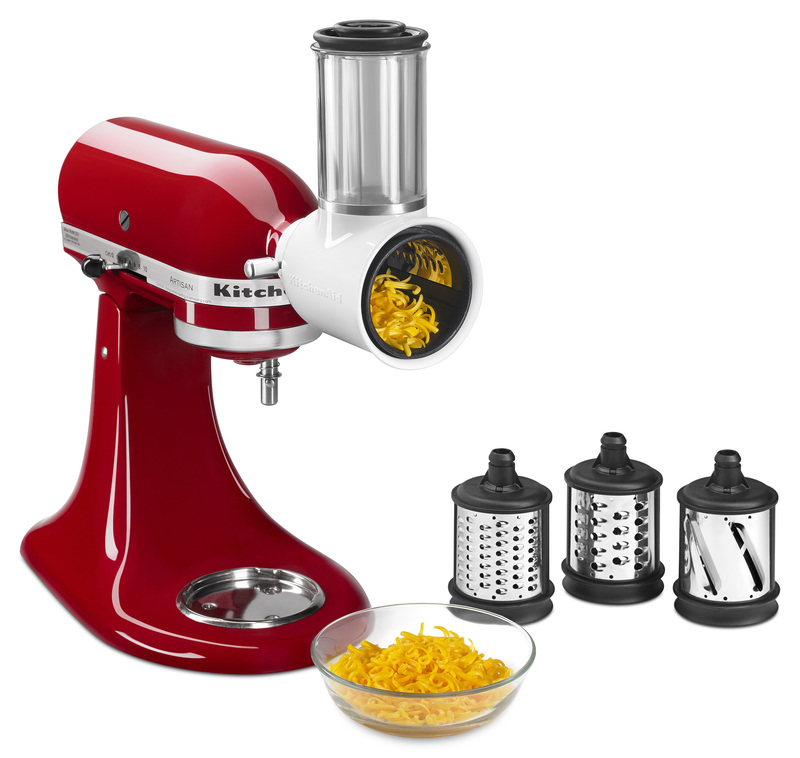 The blades and food pusher are dishwasher safe for easy cleanup; the main body can be hand washed. 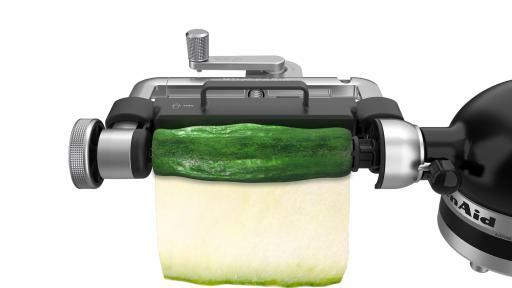 The Fresh Prep Slicer/Shredder attachment is scheduled for availability in April at a suggested retail price of $64.99. 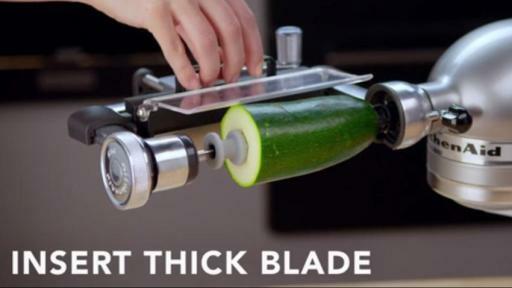 The new Vegetable Sheet Cutter attachment cuts fruits and vegetables into thin sheets for making fresh, alternative versions of everyday dishes. 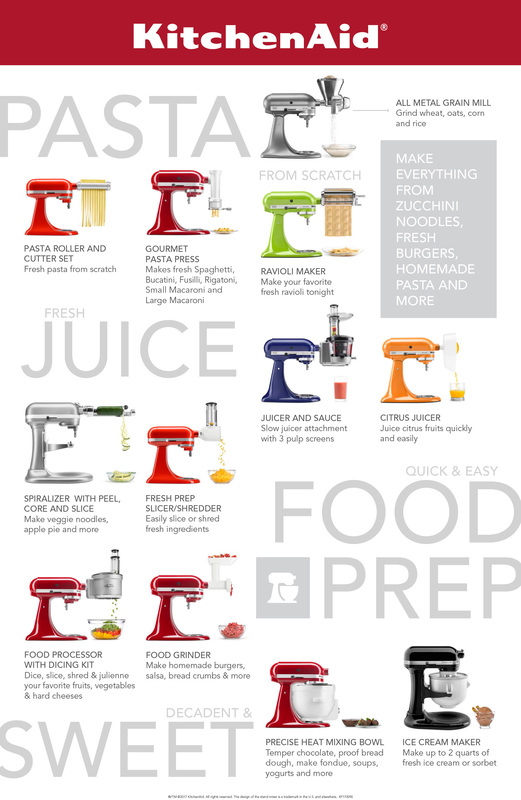 Cooks can make substitutions for pasta and wraps, or reinvent snacks and sweet dishes, by creating sheets of zucchini, sweet potatoes, apples, cucumbers and other fruits and vegetables. Two blades allow for making thinner or thicker sheets, depending on preference or recipe and premium metal construction provides durable, long lasting performance. 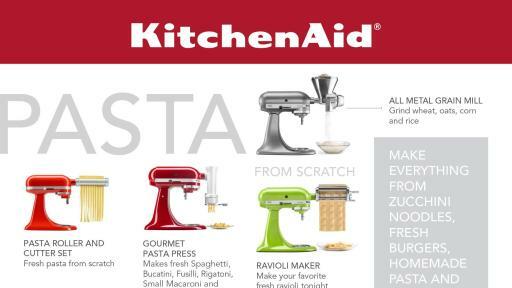 The KitchenAid® Vegetable Sheet Cutter is packed and organized inside its own storage case, designed for easy access and simple storage. Both blades, as well as a cucumber and zucchini adaptor, skewer and food holder, are dishwasher safe on the top rack. The body can be wiped clean with a warm damp cloth. The Vegetable Sheet Cutter attachment is scheduled for availability in August at a suggested retail price of $129.99.